Looking for a mug that will make you look as good as the one receiving it? Then this mug & saucer combo is the winning choice. The mug is made of ceramic, and its shapely appearance will certainly catch anyone’s eye. 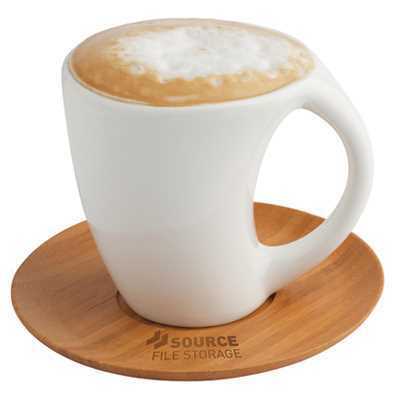 The accompanying saucer is made from environmentally-friendly bamboo which can then be engraved with your logo. This fantastic item is hand-crafted, so variations in the colour and shape of the bamboo wood itself and its engraving colour may be expected. 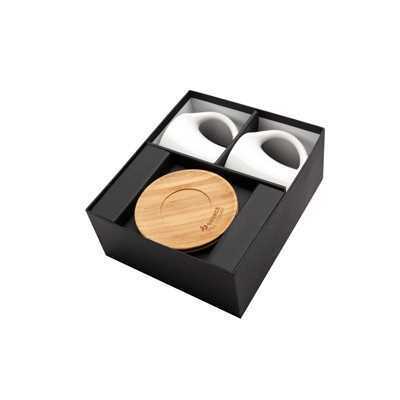 This magnificent gift set includes 2 Vienna mugs and saucers. 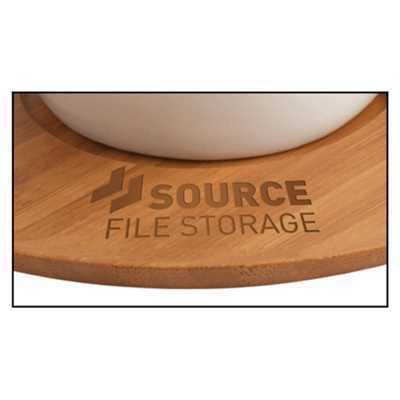 Laser Engrave: 20mm x 40mm wide (on saucer) ?